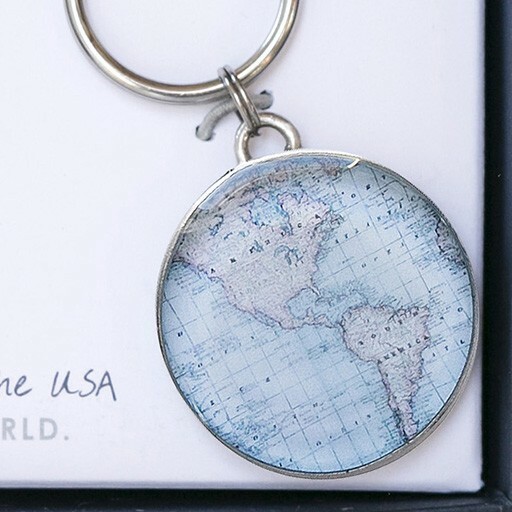 Remind yourself of your love for world travel and wanderlust every time you use your keys! 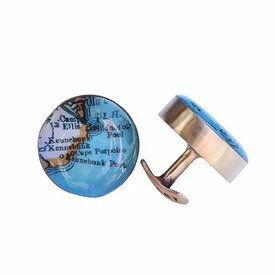 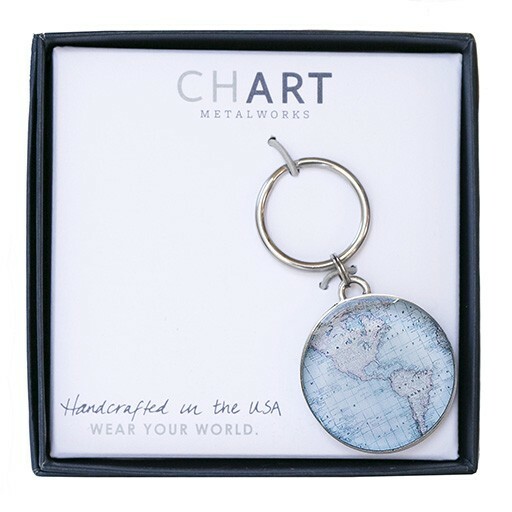 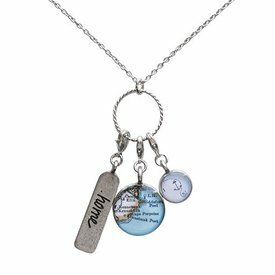 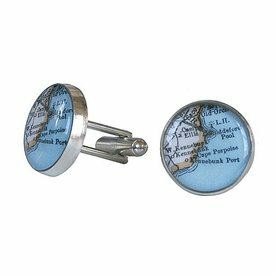 The pendant is about the size of a half dollar and features a vintage map of the world. 1.25 inch nickel-free pewter pendant on key ring. 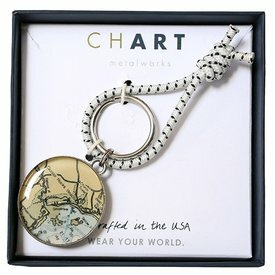 Made in Maine.